DEFIANT Ofsted defended itself against a backlash from teachers today after speakers at the NUT conference blasted inspectors’ attempts to ban hijabs in classrooms as “racism dressed up as liberalism”…. The Ofsted head said creating environments where the girls are expected to wear hijabs “could be interpreted as sexualisation of young girls”. Furious teachers accused Ms Spielman of taking an “unwarranted and typically draconian stance” on the issue and dubbed it as “wholly inappropriate” for the watchdog to quiz primary-age pupils on their choice of dress. Kaiser Jan, a delegate from Leeds, accused the chief inspector of wading in on the approach of “ we must rid our schools of these weapons of mass destruction – the hijab”. She ranted: “Well let me tell you Amanda Spielman, we’re not going to take it. I am so proud to be in a union that is challenging this, I am so proud that we stand shoulder to shoulder. She added: “We have taken regressive steps, where our children are now being told, or made to feel, they must leave their cultural, and linguistic and religious identity at the door. Pete Smith, a delegate from Swindon, blasted the Ofsted policy on hijabs as racism “dressed up as liberalism”. 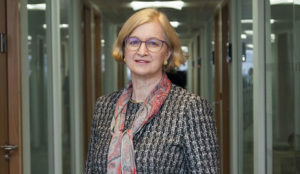 Ms Spielman previously gave her support to Neena Lall, head of St Stephen’s Primary School in east London, which argued school leaders have the right to set uniform rules. The school was forced to back down on plans to ban hijabs in class.